The OUSD board wasn't told about the deal until last week and says it interferes with their efforts to plan school facilities and enrollments. The Derby Avenue property was bought by the city in 2010 and first envisioned as a site for affordable housing. Tomorrow, the Oakland City Council will vote on whether or not to sell city-owned land in the Fruitvale neighborhood to a charter school for its new campus. But the Derby Avenue deal, which is already being criticized by affordable housing and public lands advocates, has caught members of the Oakland Unified School District's board off guard. "I think this has been somewhat secret," OUSD board member Roseann Torres said about city's work with the charter school and private developer. Torres and several other OUSD directors said they weren't told about the city's impending sale of the property to the charter school until last week, when it came before the city council's community and economic development committee. OUSD board members said they also weren't informed by the charter school about its plans to expand significantly by moving into the new campus. The proposed campus is for Aspire's ERES Academy, a kindergarten through 8th grade school that is currently housed in a building leased from a church about a mile and a half away. School board members are concerned that the expansion of ERES Academy by hundreds of students would negatively impact two nearby district-run public schools — International Community School and Think College Now, which are housed in the Cesar Chavez Education Center three blocks from the Derby Avenue site. ERES Academy has 223 students this year, but the new campus would allow the school to grow to more than 620 students, according to city and school district records. The Derby Avenue property was originally bought by the city in 2010 from a closed auto dealership. In 2015, Pacific West Communities, which specializes in building charter schools and affordable housing, approached city staff with an unsolicited plan to buy the land and assemble it with other adjacent, privately owned parcels to build a charter school for Aspire. City staff never issued a request for proposals to invite other developers to bid on the property. ERES Academy's expansion hasn't been approved yet by OUSD's board, even though Apire has already spent millions on the new campus project with architects and consultants. "We need to look at these decisions holistically," said OUSD director Jody London. "It shouldn’t be that a charter can just go off and expand without looking at the impact on everyone else." OUSD has been working on a master plan for its campuses and enrollment for several years now. Known as the Blueprint for Quality Schools, the plan is supposed to consider consolidating and even closing some district and charter schools in an effort to reconfigure Oakland's educational facilities. But the ERES Academy expansion wasn't discussed as part of the Blueprint process, said Torres. OUSD board member Shanthi Gonzales said the city's planned sale poses big problems for the school district. "The School Board has not been consulted by the city about how this impacts our plans for our mix of schools," Gonzales wrote the Express in an email. She added that Aspire also hasn't consulted with the district about its interest in expanding. According to Gonzales, OUSD's Blueprint study determined that the district actually runs too many schools, and that there are also too many charter schools. "One planned use for the site was affordable housing," Gonzales wrote. "Since we have a surplus of schools, including space at existing charter schools, but a serious lack of affordable housing, that seems to me a better use of this land." President of the OUSD board Aimee Eng said she's concerned about how the city dropped affordable housing from its plans and went instead with a charter school expansion without consulting with OUSD. "[W]hat happened to a plan for up to 100 affordable housing units at the site which was cited in a previous staffing report," Eng wrote in an email to the Express. City records show that the property was originally scoped as a location for affordable housing, but housing appears to have been dropped from the plan after Aspire and Pacific West Communities expressed interest in buying the land. 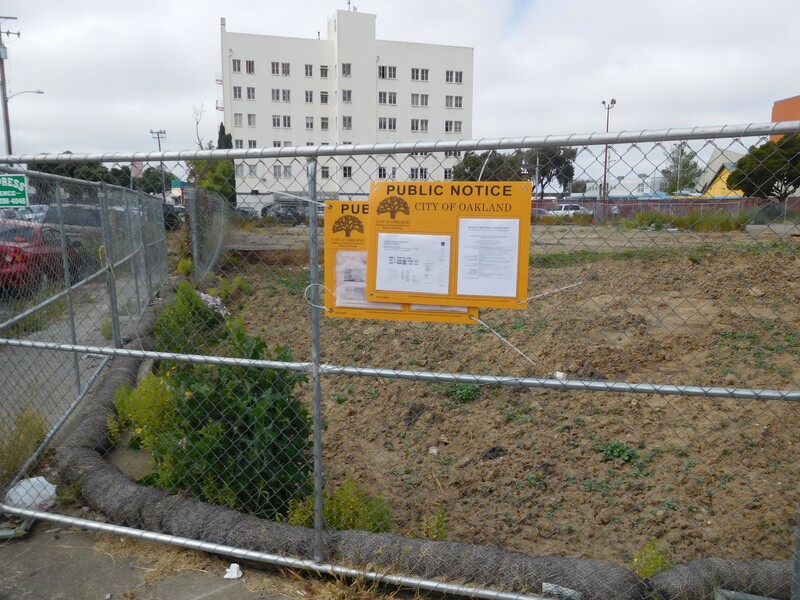 At a city council committee meeting last week, Oakland Councilmember Noel Gallo supported the deal and said it was years in the making and would clean up an area that was used as an illegal dump. He also criticized Oakland's public schools, saying families flee to charters because of budget problems and mismanagement. Gallo was an OUSD board member from 1992-2012. In 2003, OUSD was placed under state receivership due to budget issues. In an angry mini-speech, Gallo says families are fleeing OUSD to protect their children from violence & OUSD's budget has cratered. Gallo is a former OUSD board member. But other members of the Oakland City Council are questioning the wisdom of the land sale, and the process by which it was developed. "A broad community coalition has been working on a public lands policy, which I have also been involved with, to include issues such as prioritization for affordable housing, as well as jobs policies and other community benefits," Councilmember Rebecca Kaplan wrote in an email. "This proposed sale disregards those goals as well." Correction: the original version of this story incorrectly identified the charter school management organization as Arise. The organization's actual name is Aspire Public Schools.